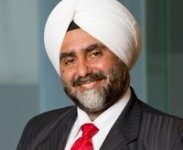 AirAsia India has announced that Amar Abrol will be taking over the reins from Mittu Chandilya as the CEO of AirAsia India. Effective April 1, Abrol, who has over 20 years of experience, will be in charge of the low cost airline. Abrol was most recently the CEO of Tune Money, a start-up that aims to deliver low-cost financial products in South East Asia. Before joining Tune Money in 2013, he spent 19 years with American Express, leading diverse teams across multiple markets including Hong Kong, Singapore, UK, India and Malaysia. Born and raised in India, Abrol graduated from Delhi University and is a Chartered Accountant from the Institute of Chartered Accountants of India. 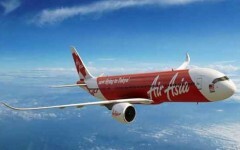 Abrol said, “AirAsia India is poised for strong growth. I look forward to leading the team and together, giving many more Indians the opportunity to access the exciting promise of Indian civil aviation.” Chandilya’s contract ends March 31, 2016 but he will continue with the company until the end of April to ensure a smooth transition of the CEO role. Chandilya has led AirAsia India from June 1, 2013 and under his leadership, the airline has established a fleet of six aircraft, covering 12 routes and carrying over 1.8 million passengers. In the most recent quarter of operation, October-December 2015, AirAsia India clocked a 134% growth in passenger traffic as it flew over half-a-million customers, and operated 3,376 flights as compared to 1,444 flights in the same period of 2014. Chandilya said, “The past three years has been a rewarding and enriching journey for me and AirAsia India. I am delighted that AirAsia India is today a customer-preferred airline in the sectors that it operates. I will truly miss each member in our young organization without whose passion and energy none of this would be possible.” Apart from that AirAsia India also announced the appointment of Ankur Khanna as the Chief Financial Officer and Kiran Jain as the Head of Commercial.